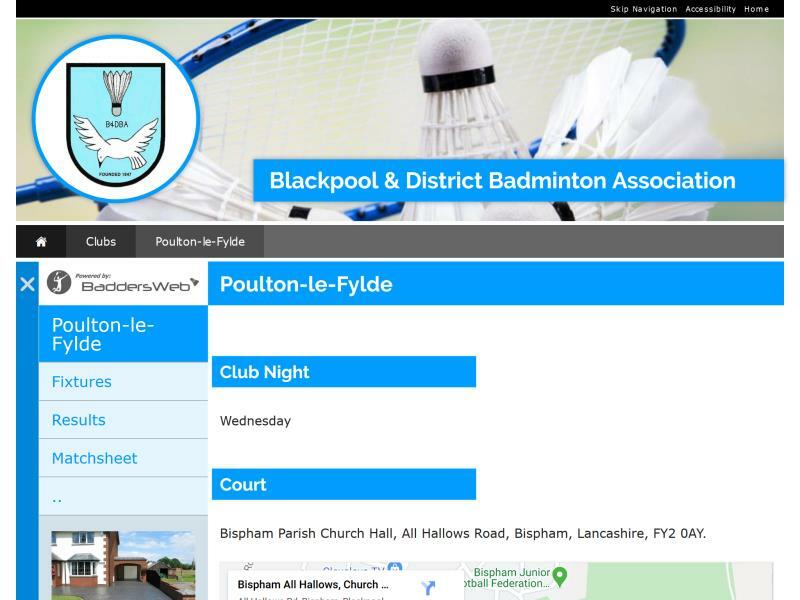 Website with bespoke back-end facility to enter league fixtures, results and moreLooking for a website for your sports club, league or association? EasierThan Website Design offer practical sports website solutions, with the option to feature a bespoke Content Management System back-end that allows you to enter fixtures, results, knock-out tables, round robins and more, along with automatically calculating league tables. 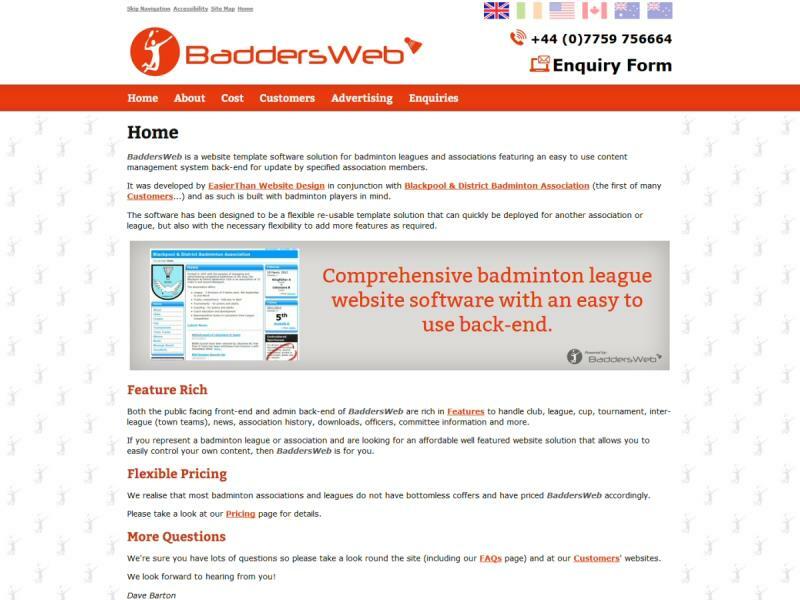 If you represent a badminton association or league, our BaddersWeb solution is a fully developed product looking for new customers. This same technology could now be adapted for other sports. If you represent a football, tennis, rugby, table tennis, pool, snooker, racing, cycling, sailing, running, athletics, lacrosse, hockey, bowling or other club, team or association, please Contact us to discuss your needs. Easy to use content management system back-end for update by specified badminton association members.